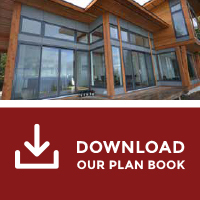 Tamlin Timber Frame Homes was asked by a custom client in Fort Langley BC ( 20,000 square foot home) to integrate structural timbers into a already designed home plan. Chris, owner/partner in charge of design and engineering, went to work right away and met with the owner and builder to re-design for the timber frame components. The result was seamless process from acceptance of new drawings to delivery of the finished timbers. We ended up supplying timber frame for the great room, outside great room, upper bridge, entry, as well as timber accents throughout the exterior of the home. The builder commented that he has nothing but great things to say about Tamlin and the process. He was also impressed with the quality of the timbers, the accuracy of fit onsite and that the delivery was on schedule. There is a misconception sometimes that adding structural timber frame after designs are completed cannot be done. This is a great example of how with Tamlin’s 30+ years of experience, anything can be accomplished. More photo’s can be viewed here.